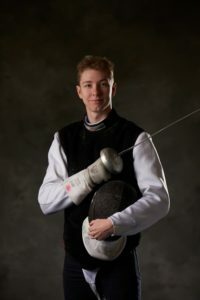 Daniel began fencing at nine years old, after taking a run at several other sports. Traditional sports were problematic because he was lanky and uncoordinated. He started with saber at HDFA in Reno; after a year of placing nearly dead last in every RYC, he picked up an epee. Quickly, he found success (thank you, lanky stature). After five years of fencing at HDFA, Daniel and his mother moved to NWFC to fence under Cody Mattern. Even as many of his friends depart, he’ll continue to be thankful for his Northwest family, and is excited to work toward higher levels of coaching certifications.